Reach the Children provides underprivileged children opportunities to become self-reliant by strengthening families and communities. 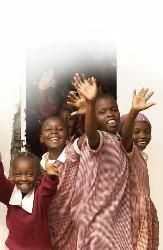 The overall goal of Reach The Children Kenya is to strengthen families and communities to self reliance. Reach The Children Kenya is a non governmental, non profit, humanitarian organization registered (OP.218/051/2003/094/2552) under section 10 of the Non Governmental Organization Co-ordination Act of Kenya. Reach The Children Kenya is affiliated to Reach The Children Inc a US based, 501(c) 3 charitable, non-profit, non-governmental humanitarian organization established in July 1998. It is federally registered in the United States and is registered in several African countries. Country offices are also currently established in Uganda, Tanzania and Ghana.